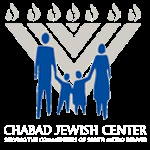 During our Yom Kippur services, Rabbi Mintz will mention the names of our parents, relatives and friends who are no longer living before the Torah scrolls at Chabad Jewish Center. This is the most powerful time to remember our loved ones before G‑d; it is the Holiest Day of the year, in the sanctity of the Synagogue, in front of the Torah scrolls and in the presence of the entire congregation. This will have a very powerful effect on the souls of our loved ones in heaven which in turn will connect our loved ones with us - the people they loved during their lifetime. Please use the links to the right to reserve your High Holiday seat. We are happy to contribute the following amount to the High Holiday Appeal.